Having increased the percentage of minorities in the workplace, we might think our work in the area of diversity is done - but we've hardly started. 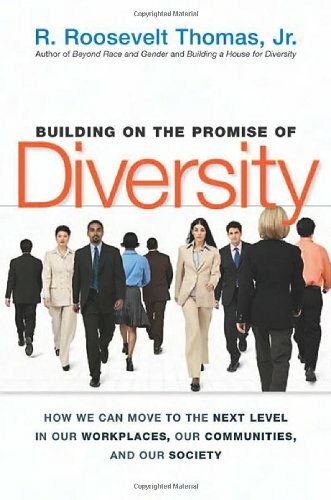 "Building on the Promise of Diversity" presents R. Roosevelt Thomas's Strategic Diversity Management approach, a results-focused, five-step process for applying diversity management toward the advancement of organisational and community goals. This is the first major book on the topic in years and it is a crucial milestone in a continuing journey. While some organisations congratulate themselves on their plentiful workplace initiatives, Dr. Thomas argues that we have not done enough to reap the ultimate benefits of diversity. The opportunity is upon us and "Building on the Promise of Diversity" lays the groundwork for going the next mile.